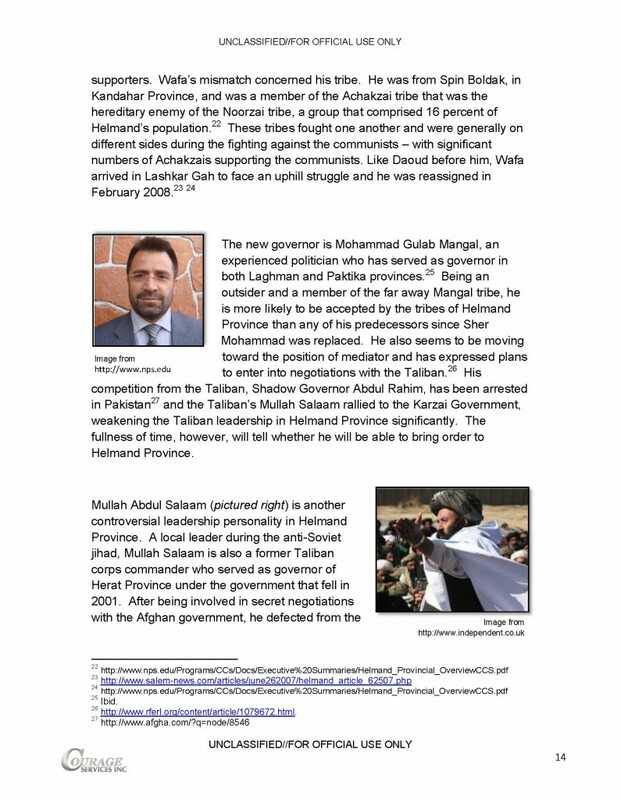 Helmand Province‟s political scene is perhaps unique in Afghanistan due to several atypical tribal dynamics produced by the unintended consequences of Western development activities. Projects, like the Helmand Valley Development Authority, led to an uneven tribal resettlement process that introduced outsider ethnic groups into the central portion of the province where they had never resided previously. 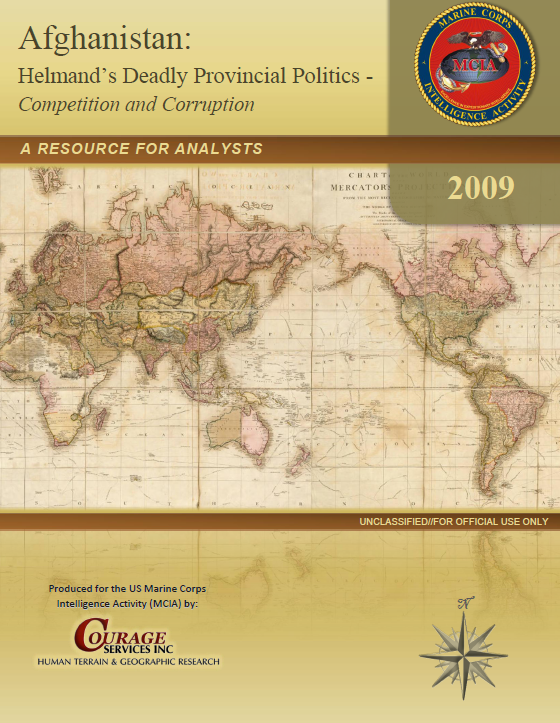 Second, the potential wealth of the illegal opium industry associated with the reclaimed land from the development project and tribal desires to control it has also been a factor in the development of conflict. In addition to this pair of instability factors, the emergence of communism and its disruption of the traditional, stable tribal dynamics led to many of the traditional secular leaders, the khans and maliks, either leaving the region or losing their lives. Into this power vacuum stepped opportunist clerics convincing the rural population that communist, modernist – and secular – forces were not only attacking their tribal structure, but they were also threatening Islam, itself. Local loyalties were complicated by competition for control of the opium trade in this volatile, unstable mix of minority tribes, clans and families having no direct ties to the traditional ruling tribes. As a result, the societal disruption worsened as opportunist mullahs confronted the province‟s few remaining traditional leaders. Adding a further complication, Western forces now have arrived and are attempting to complete the forlorn hope of the now-vanished communists who created the original chaos with the an impossible task of trying to force these fractious people under the control of a central government. 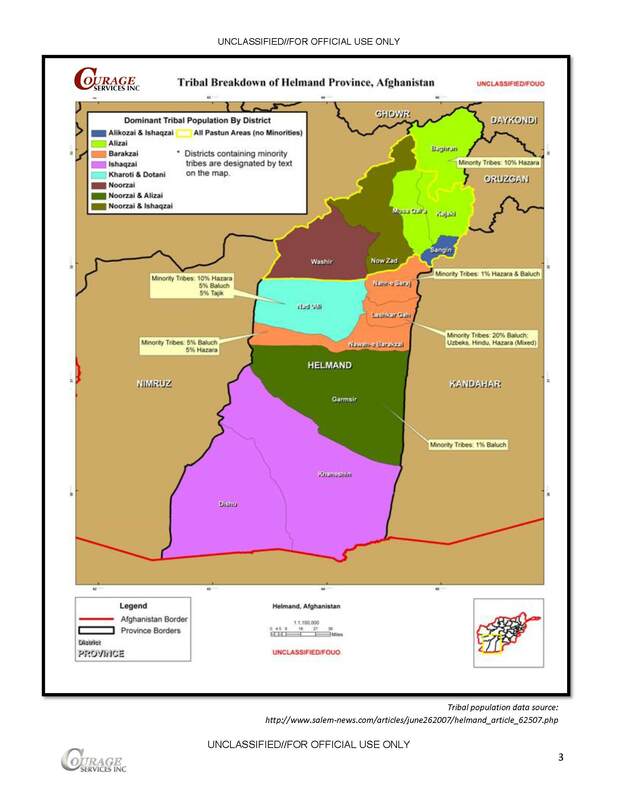 Helmand‟s recent conflict has seen the fragmentation of the large, dominant Alizai Durrani Pashtun tribe as three of its five subtribes began to oppose one another in a power struggle. This led them to enter different political parties as they battled the occupying Soviet Army, but their armed groups fought one another just as much, if not more often. 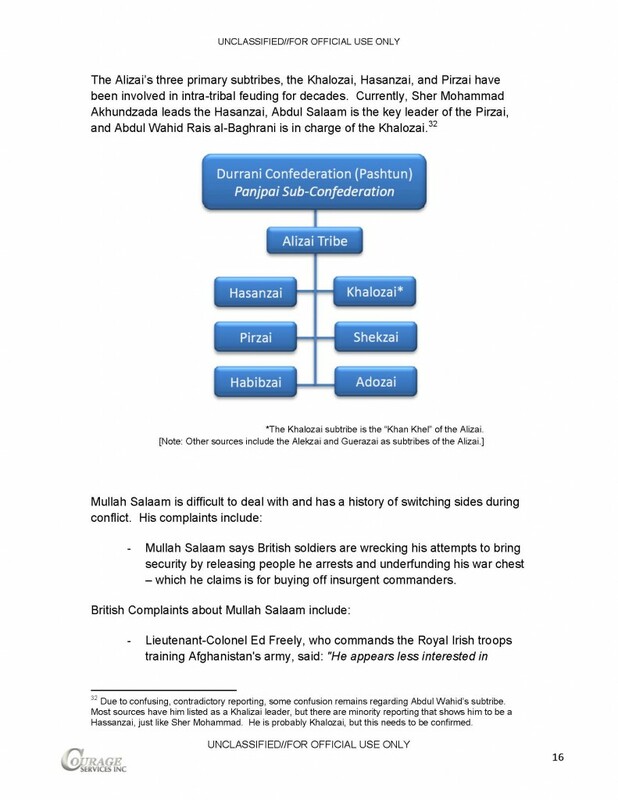 The traditional maliks and khans of one subtribe, the Hasanzai, lost control to religious opportunists of the “Akhundzada family” who began to oppose even the Alizai‟s Khan Khel, the leading subtribe. The leader of the Khalozai, the Khan Khel, opposed the Akhundzada‟s attempt at primacy in the Alizai tribe as they tried to gain full control of the opium industry. The Akhundzada‟s and the Hasanzai allied themselves with the Harkati Inqilabi Islami1 as the Khalozai joined forces with the Tajik-dominated Jamiat-i Islami.